Zachary Price was an Assistant Researcher in the Ralph Bunche Center for African American Studies before joining the newly-launched Department of African American Studies at UCLA. At the Bunche Center, he researched issues of underrepresentation and diversity of minorities and women in the entertainment industry. He holds a Ph.D. in Theater Studies from University of California, Santa Barbara where he was a University of California President’s Dissertation Fellow, a M.F.A. in Theater Studies from the New School University, and a B.S. in Performance Studies from Northwestern University. Zachary Price was an Assistant Researcher in the Ralph Bunche Center for African American Studies before joining the newly-launched Department of African American Studies at UCLA. At the Bunche Center, he researched issues of underrepresentation and diversity of minorities and women in the entertainment industry. He holds a Ph.D. in Theater Studies from University of California, Santa Barbara where he was a University of California President’s Dissertation Fellow, a M.F.A. in Theater Studies from the New School University, and a B.S. in Performance Studies from Northwestern University. Combining scholarship and practice in theatre and performance, Price’s work is interdisciplinary, utilizing performance studies, theater, African American history, Afro-Asian Studies, and public arts projects both within the university and outside. Dr. Price has worked in film development, television production, literary theater management, and has had plays produced in spaces such as H.E.R.E. Arts Center, 651 Arts, Samuel French Off-off Broadway Play Festival, New School University, New Professional Theatre, and The Dramatists Guild where he was a Playwriting Fellow during the 2004-2005 season. His recent social justice commitment has been to assist Dr. Michael Morgan at UCSB in an innovative theater-juvenile prison intervention entitled The Odyssey Projecthttp://www.theaterdance.ucsb.edu/projects/odyssey/, a program that partners UC students with wards of the court from the Santa Barbara Department of Youth Probation. Zachary also has an international interest in transnational cultural politics, having lived and worked in Japan for three years on the Japan Exchange Teaching Program. Currently, he is writing a scholarly book that examines AfroAsian juncture and disjuncture through performance practices such as martial arts, jazz, and dance from 1945 to the present. Based on his doctoral dissertation, this work examines how Black practitioners have appropriated Asian aesthetic practices in martial arts in order to redefine their own subjectivity and negotiate hegemony and how Asian Americans have appropriated the Black radical tradition through jazz and dance in conjunction with martial arts in order to advance an Asian American political consciousness and a critique of imperialism. This book epitomizes Zachary’s desire to see in scholarship opportunities to forge unusual conversations on topics seldom discussed in traditional academic areas. 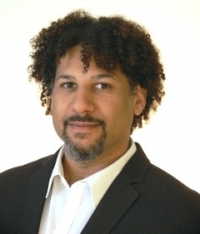 In his courses at UCLA, Dr. Price explores how Black performance emerges within the global circulations of popular culture and how performance disciplines are deployed as pedagogical strategies to subvert and reconfigure what we commonly call culture.